In Heaven is For Real, I’m afraid it’s the end that doesn’t justify the means. Parts of this film are really beautiful, and the characters are likable. The Burpos have a marriage worth fighting for. Greg Kinnear plays a quality good guy patriarch pastor to a tea. When he cries, we cry. He could be our modern Michael Landon. And like Landon, he is walking his Highway to Heaven. He agonizes over all while the world doubts. 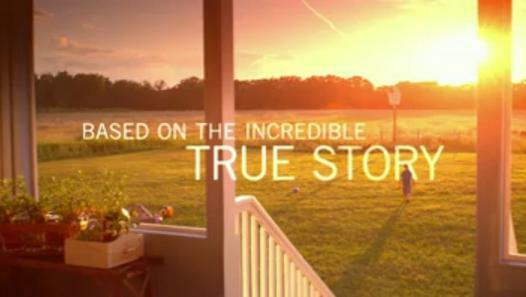 This film shares the gospel truth about a midwestern pastor’s struggle with finances and health issues only to be throttled by his son’s near death experience. 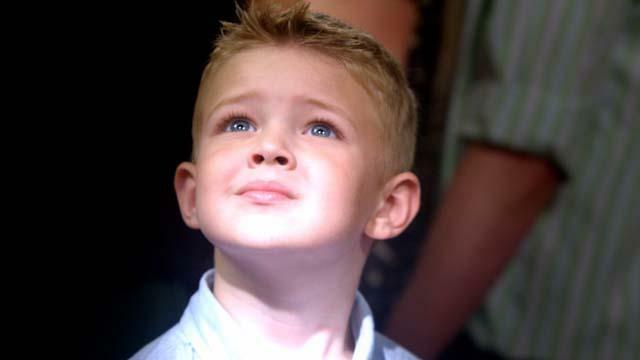 Little Colton starts discussing his visit to heaven: seeing angels and animals, meeting Jesus and other family members like the great-grandfather he never knew and his unborn sister. Heaven Is For Real runs right up to an often unpopular edge: claiming Jesus as Lord, forgiver, redeemer. But then it shrinks back at the last moment claiming heaven is in all of us. I’m sure the sweet family who wrote the book felt a drop in their stomachs when they watched the feel good ending praise the message of a Universalist religion rather than the gospel they preach. We can put up with a whole lot of still shots of the front of their house and discussions on the back porch. But it is painful to watch a whole film stand up and make a point only to sit down and deny it in the final moments. I haven’t seen the movie but from what I’ve read about it I’m guessing it’s awful and the cop-out ending you mention seems to only make it worse. But the reason the movie probably settled for that ending is not because it would alienate non-Christians for they’re not even the intended audience, but probably because the story the movie is based off is just bologne. The kid’s dubious account of seeing heaven is probably just more Christian propaganda and the movie seems to realize that and then settle for the cop-out “heaven is inside everyone” without having to admit that the story is full of it. I’m not sure if the parents coached the kid but he probably did think he “saw” Heaven, but that doesn’t mean anything. But outside of that, maybe the movie could still have been good. I felt the salvation message was missing, too. But I don’t remember it being in the book, either. I think the author and the filmmaker were hoping to inspire people to seek answers on their own. The answer is Jesus.